It was just a regular Wednesday. Or at least so I thought. My mother in-law had just arrived in town to help with the babies. However, the babies weren’t here yet. I took the morning off work to accompany my wife to her 36-week twin pregnancy checkup. My mother in-law stayed at our home and watched our two boys (ages 3 and 22 months) while my wife and I went to our appointment. By this stage in the pregnancy, we were visiting the doctor each week. As such, I was in the habit and didn’t expect much from our visit. My wife, however, was “done” with the pregnancy. She was miserable, uncomfortable, and had a belly so large I thought for sure it would pop at any moment. She wanted our girls out and she wanted them out right now. 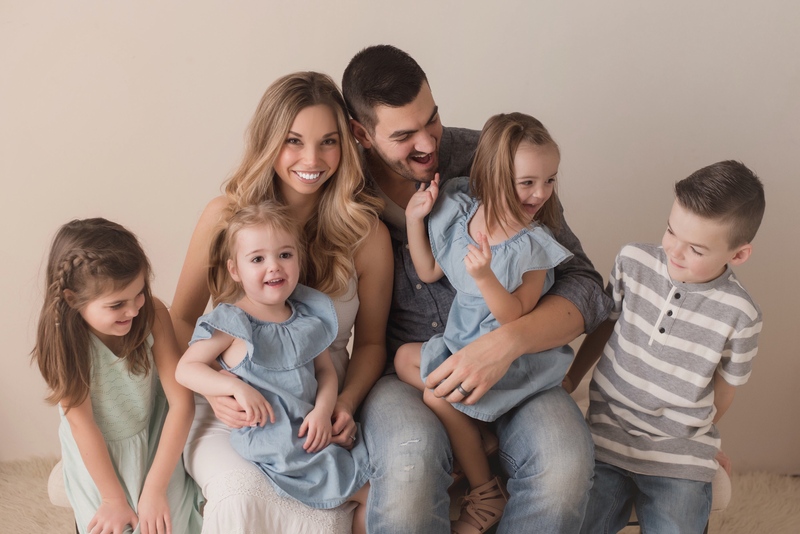 The challenge was convincing her doctor to deliver the babies sooner rather than later, since our hospital didn’t schedule deliveries before 38 weeks. The mid-morning doctor’s appointment featured my wife getting hooked up to a contraction monitor. To our surprise, this showed that my wife was in labor. She had been experiencing regular contractions since about 30 weeks, which had caused her to be on partial bed rest, but how was she supposed to differentiate the contractions she’d been having for six weeks from the ones that signaled delivery? It took getting hooked up to the monitors to prove that point. 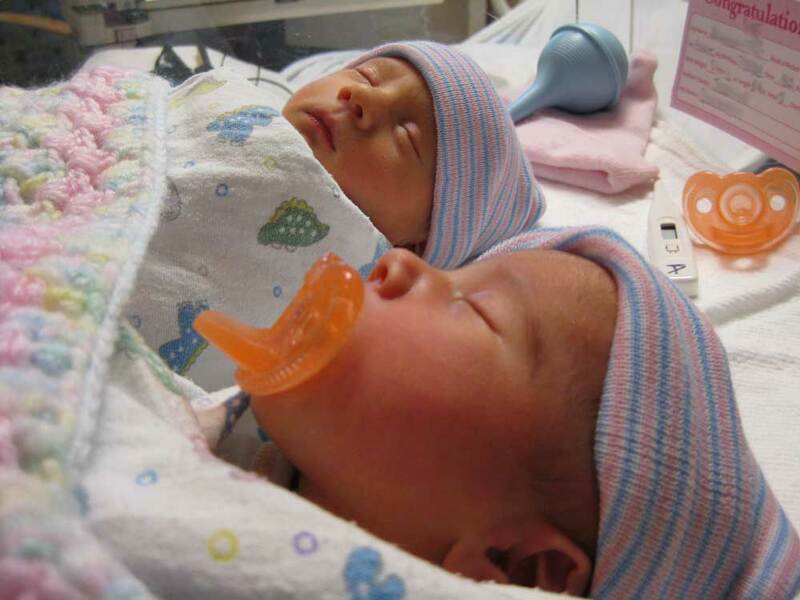 This news put us on the fast track for delivery of our twin girls that very day. Even though I had prepared for this day for several months, I wasn’t ready. I took my wife to the doctor fully expecting to go in to work after dropping her off back home. To add insult to injury, I was sick with a cold and my nose alternated from runny to stuffy based on whichever annoyed me most in the moment. I was so caught off guard that I didn’t even have our overnight hospital bag with us. Oops! I didn’t go back to work that day. In fact, I wouldn’t go home until our girls were born. Instead of heading out to the car, we walked from our doctor’s office across the street to the hospital’s women’s center and checked into labor and delivery. We had planned to delivery our girls via c-section. 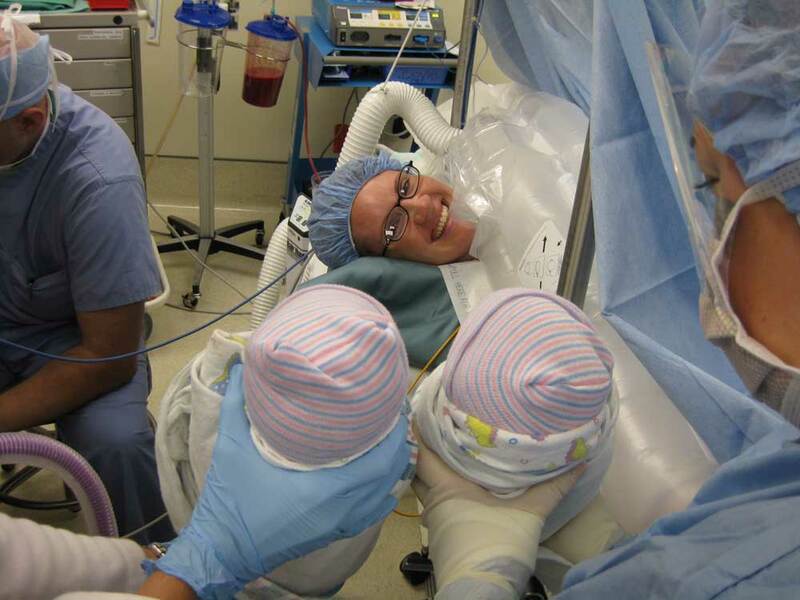 My wife had two c-sections previously, one an emergency procedure when our first son got stuck during labor, and a scheduled procedure with our second son. As we were a “walk-in” to the labor and delivery room without intense labor pains to jump us to the head of the line, we waited the majority of the day in the triage room for our doctor to be available for the delivery. According to the monitoring equipment, my wife’s contractions continued but she was far from being in the physical duress of the other mom’s in the beds next to us. So we waited. I scrambled around the hospital looking for cough drops, cold medicine, and something to eat. By dinnertime, we finally got the green light to go into the operating room. I walked with my wife until we reached two big double doors. The medical staff told me they would get my wife ready and then come and get me. 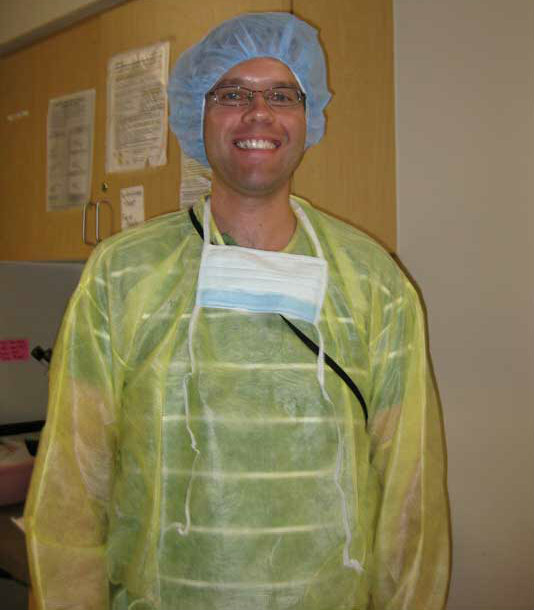 I put on my surgical cover-up gown, hair net, and held my mask while I paced back and forth. This was it. I was about to be a father of twins. The time for preparing had past and now they were coming, ready or not. As I paced around the hall, it was eerily quiet. I didn’t see or hear anyone. Had they forgotten me? Was I going to miss my girls’ birth? I started to worry. Should I just barge through those double doors and find my wife? Just as I was about to panic, a nurse walked through the doors and escorted me back to the operating room. The room was a frigid temperature and buzzed with almost a dozen medical staff. My wife was already on the table and in the process of being cut open for the delivery. I walked straight up to her and sat next to her head. A huge green curtain blocked our view of the surgery. The anesthesiologist was behind us monitoring my wife’s condition. Again I began to worry as the doctor had not told me to stand up to see the delivery. I could hear them working and see my wife’s body moving as the doctor did her magic. After waiting for what seemed like forever, the doctor told me to stand up. I grabbed my camera and started video recording while I narrated to my wife who couldn’t see what was happening. Our first daughter was breech so was pulled out bottom first. Her umbilical cord was snipped and then she was carried over to a station for inspection and swaddling. I followed her and the nurses and looked on in awe at my new little daughter. I was so focused on her that I had to snap out of my trance to return my focus to my wife and other daughter. I walked back and told my wife that our first girl was fine. By this point, the doctor was trying to yank out our second girl. The doctor had my daughter by both legs and was wiggling and maneuvering her such that my wife’s entire body was shaking side to side. After two minutes of struggle, our second daughter was pulled from the warm womb and introduced to the cold operating room. Again I followed her over for inspection and swaddling. I quickly counted all her fingers and toes looking for any issues. She was perfect, just like her sister. I escorted my daughters to the nursery while my wife stayed behind in the operating room to get sewed back together. 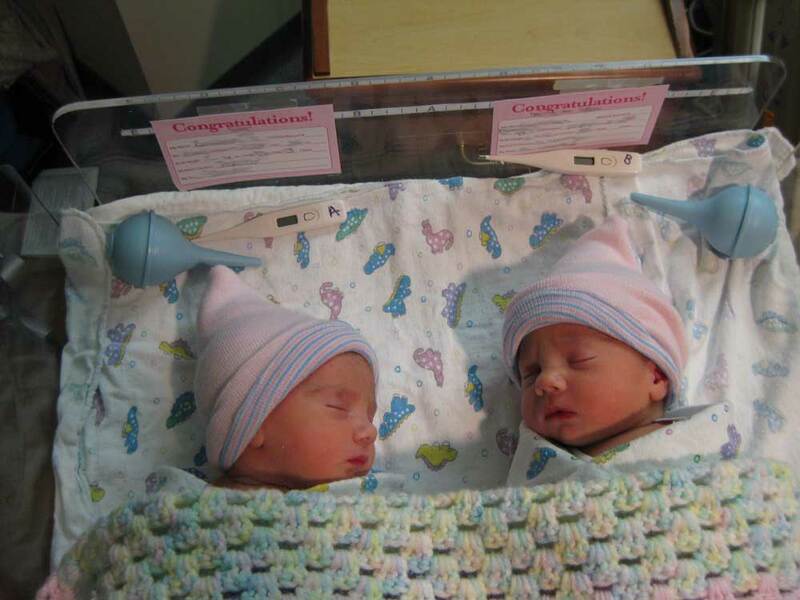 Our girls were both 18.5 inches (47cm) long and weighed 5 pounds 7 ounces (2.5 kg) and 5 pounds 13 ounces (2.6 kg) respectively. We were blessed to have them both be healthy and without complications. After almost an hour, my wife joined us in the recovery room as she transitioned off the anesthesia from the c-section. She shivered to the point of shaking violently. This scared both of us but was quickly addressed by the nurse. After my wife got the green light, our party of four moved to the recovery room where we’d be staying for several more days. While that Wednesday didn’t quite turn out like I expected, I wouldn’t have it any other way. I was now a father of twins and my wife and I had four kids ages 3 and under. The trials and preparations of pregnancy were behind us. The real adventure was about to begin. 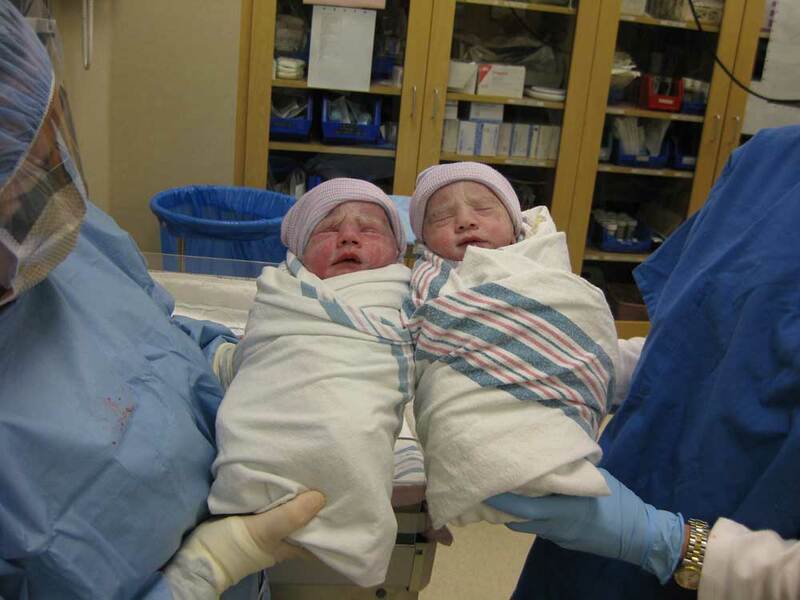 Joe Rawlinson is the father of four children, two boys and identical twin girls. 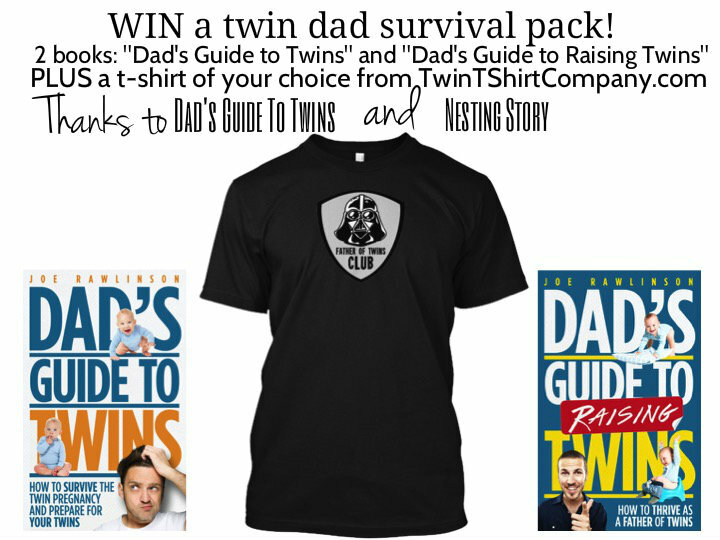 He is the author of two books for fathers of twins, “Dad’s Guide to Twins: How to Survive the Twin Pregnancy and Prepare for Your Twins” and “Dad’s Guide to Raising Twins: How to Thrive as a Father of Twins.” You can find more tips and tricks for preparing for and raising your twins at dadsguidetotwins.com. You can follow Joe on Facebook, Twitter, Instagram and Pinterest! Enter up to six times below to WIN! Updated: The winner is Brian Congratulations Brian!!!! The winner of this contest was randomly selected by Gleam. 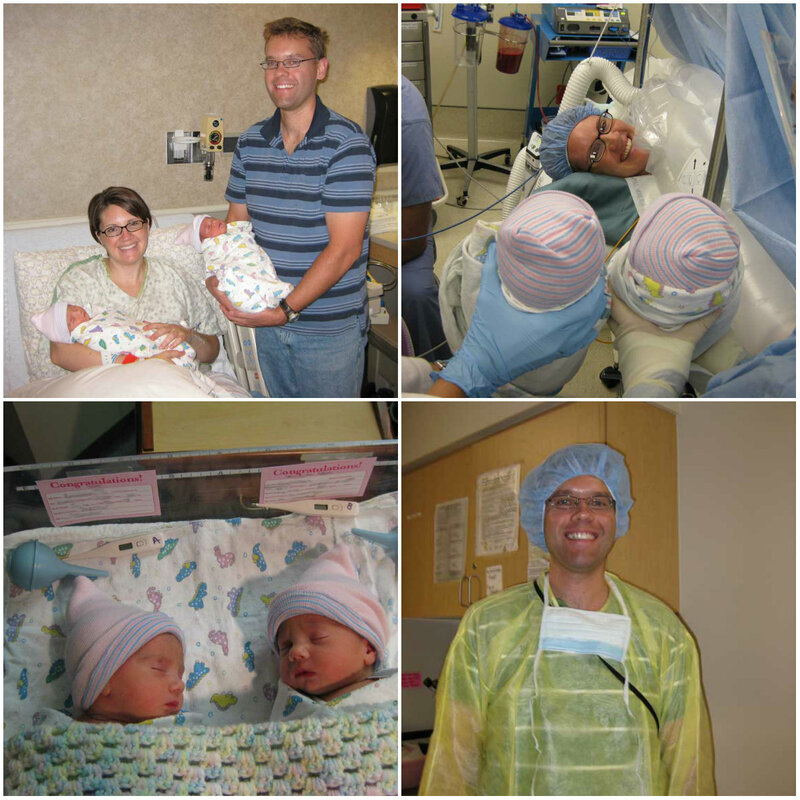 Thanks again Joanna for letting me share my twin birth story.